What am I listening to in the studio, while I am working at the computer? 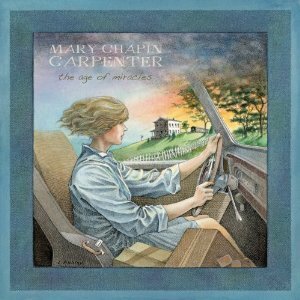 My current favorite is: Mary Chapin Carpenter's The Age of Miracles. She has always been one of my favorites and I was really happy to see the new release. It's wonderful new work ... another classic. About: The Age of Miracles is the 3rd Zoe/Rounder release from world renowned singer-songwriter Mary Chapin Carpenter. The Age of Miracles has been a work in progress since 2007. The album is a personal exploration of regret and resilience but also a larger, more universal expression of wonder at the times we are living in. Carpenter is backed by an incredible band that includes Matt Rollings (piano, B-3 organ), Russ Kunkel (drums), Duke Levine (electric and acoustic guitar), Glenn Worf (bass), Dan Dugmore (steel and 12 string guitar) and Eric Darken (percussion). It also features guest vocals by Vince Gill and Alison Krauss. I just want to give a shout-out to those of us that think its not only okay to be different and unique, but celebrate it! I have learned, especially with photography, that we can all look at the same thing and see it differently. I may stand right next to another photographer and record the same scene, but the resulting image will not be the same. The angle, the settings I choose, how I post-process, how I print will all put my unique spin on it. That is way cool! That is what makes photography art. I get asked a lot about my technique for a particular image and I am happy to share. Imitation is certainly a form of flattery. But I am much more excited about seeing someone doing unique work, reflective of their own vision. I would rather look through their portfolio, talk to them about their work, explore why they have done what they have done and how it fits with their story and perhaps offer suggestions for techniques/skills that help them achieve their goals. Be inspired by others, but don't copy their work ... you have your own story to tell, your own life to live, your own art to create. And try not to criticize others because they are different ... ask questions, try to learn ... you may be amazed. We are back in Missouri and it is beautiful spring! !